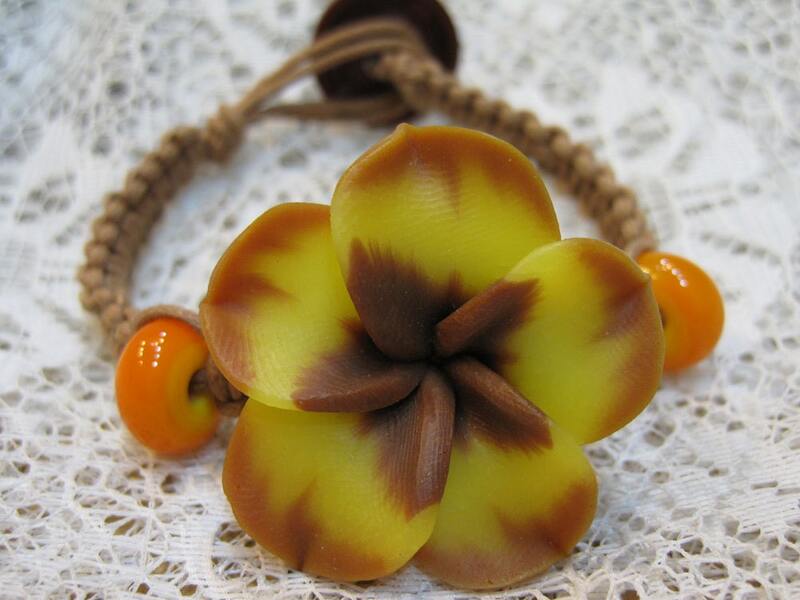 Simple macrame bracelet with a lovely golden yellow polymer clay plumeria flower with a brown center and edged in brown. Camel brown waxed cotton and coordinating glass pony beads (2 colors of glass beads included so you can choose your color - yellow and transparent topaz) are included as well as a pretty vintage style button and complete instructions! My instructions indicate how I hide the cords securely in my work so no glue is necessary! Length of this bracelet will vary depending on your desired width.. 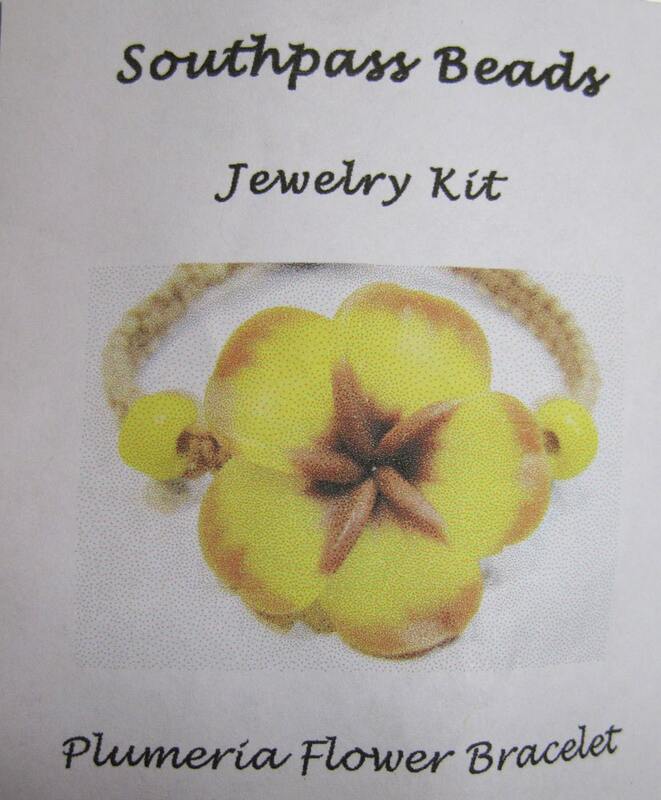 This makes a wonderful flower bracelet! All you need is your own macrame board or clip board to secure your working cords!